Caffeine is widely consumed in foods and beverages and is also used for a variety of medical purposes. Despite its widespread use, relatively little is understood regarding how genetics affects consumption, acute response, or the long-term effects of caffeine. This paper reviews the literature on the genetics of caffeine from the following: (1) twin studies comparing heritability of consumption and of caffeine-related traits, including withdrawal symptoms, caffeine-induced insomnia, and anxiety, (2) association studies linking genetic polymorphisms of metabolic enzymes and target receptors to variations in caffeine response, and (3) case-control and prospective studies examining relationship between polymorphisms associated with variations in caffeine response to risks of Parkinson’s and cardiovascular diseases in habitual caffeine consumers. Twin studies find the heritability of caffeine-related traits to range between 0.36 and 0.58. 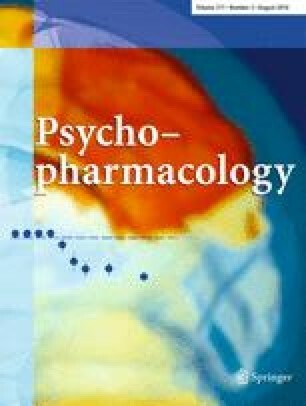 Analysis of polysubstance use shows that predisposition to caffeine use is highly specific to caffeine itself and shares little common disposition to use of other substances. Genome association studies link variations in adenosine and dopamine receptors to caffeine-induced anxiety and sleep disturbances. Polymorphism in the metabolic enzyme cytochrome P-450 is associated with risk of myocardial infarction in caffeine users. Modeling based on twin studies reveals that genetics plays a role in individual variability in caffeine consumption and in the direct effects of caffeine. Both pharmacodynamic and pharmacokinetic polymorphisms have been linked to variation in response to caffeine. These studies may help guide future research in the role of genetics in modulating the acute and chronic effects of caffeine. This research was supported by NIDA (DA021336 and DA02812). All authors reported no biomedical interests or potential conflicts of interest.